Stomperoo's sound is informed by Jaco Pastorius (Joni Mitchell) and double bass from any era. Up higher he sounds like Clarence Gatemouth Brown and BB King. It's bluesy folk-o-jazz with a virtuosic rockin' edge. Stomperoo studied with Ike Isaacs (Stephane Grapelli) and Tommy Emmanuel and worked in the music biz with Larry Muhoberac (Elvis Presley’s pianist) for 2 years, Long Way To The Top (guitar and banjo), Little Pattie and Normie Rowe, as well as working in music theatre Orchestras with conductor Dobbs Franks (New York). 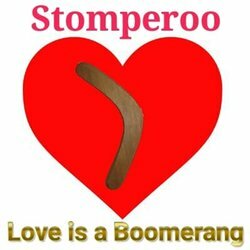 If classical and pop music are mainstream meals, then Stomperoo's music is a late-night snack of mixed Aussie delicacies, ending with Tasmanian black beer and a bush tobacco cigar.